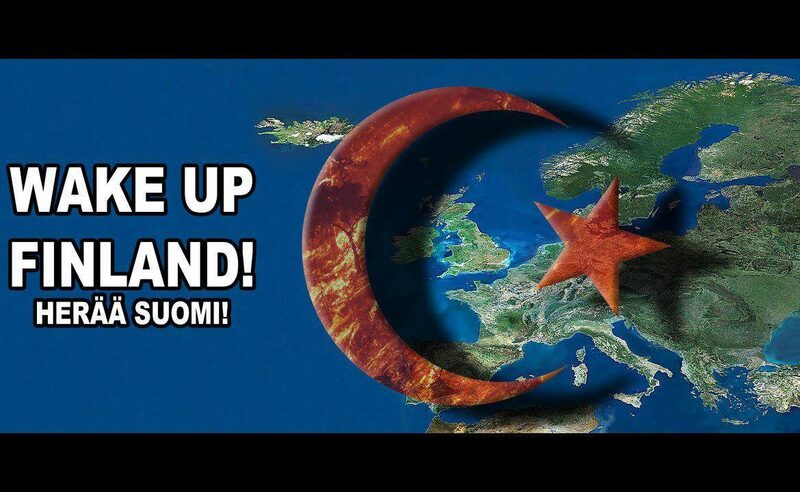 Jan Schibbye Hervig: Finnish globalists will replace Finns with immigrants…… – The Tundra Tabloids……. Much of Finland’s past is reflected in its recent immigration policies, for an example, laws which at one time, allowed for dual citizenship, were changed after 1989. The fear at the time was that Finland would be flooded with Russian immigrants. Since joining the EU, those laws have been either relaxed or rescinded, with dual citizenship now being permitted once again. Ever since Finland joined the EU, which narrowly passed in a public referendum, (49/51%), there has been a tremendous change in Finland’s view of itself and its role within Europe. Before joining, Finnish neutrality, accompanied by strong ties with the UN, were seen as the means by which Finnish security could be both obtained and maintained. Since joining the EU, different parties now look to the EU to safeguard Finnish security. When looking at the statistics for EU member states that actually fulfill EU directives, Finland ranks always near or at the top. Perhaps this phenomenon can be traced to its past as a vassal of Sweden, and then as a duchy of Tsarist Russia. But whatever the reason, Finland is an eager member within the EU, willing and ready to serve. What I am driving at here, is that though Finland lacks the seemingly “open-ended” immigration policies that other EU members states currently employ, there are dangerous signals, that perhaps when given the chance, Finland will try to emulate the immigration policies of other EU countries as well. In closing, it is my opinion that Finland today resembles the Europe from the late 1950’s, in an age where cultural identities were stronger then they are today, and national heritage viewed as a commodity not worth trading away. How Finland fares in the next few decades might be an indicator as to just how far the European enterprise has actually gone. So let us hope that Europe will eventually find that same Finnish backbone that defeated the Soviets, and help secure Europe’s cultural identity. Thank you. The Finns are a patient and persevering people. The country’s political development as an EU country is strongly influenced by Brüssel’s command regime. Finland has tried to cope with this in a sensible and controlled manner, but when it is more and more about Finland giving up its own people and culture for the benefit of Muslim immigrants and a globalist elite that controls from the outside, one sees the reactions coming. Finland is in a population crisis, which means being or not being for ethnic Finns. The birth rates of Finnish women are at their lowest since the famine in the 19th century and no improvement is in sight. On the contrary, the trend is accelerating. In Finland, the number of people aged 15-64 has fallen by over 100,000 only since 2010, and by 2050, Finns aged 15-64 will fall by another 630,000. Globalists attempt to override the debate on this serious topic in Finland with the recipe: More immigrants to Finland, they can easily replace Finns in all areas. Finns and Finnish culture have no intrinsic value. It’s the same reasoning that Swedish politicians have about Swedes and Swedish culture – and our own politicians are not far behind. Tuomas Martikainen , professor of ethnic relations at the Migration Institute in Turku, marks the debate and claims that the labor force must come from abroad when the Finnish population ages. Refugees and asylum seekers who have arrived in the Nordic countries are what Martikainen calls “an excellent natural experiment”. – Here we have a group of people who have a fairly similar background and who have ended up in different countries with different asylum and integration policies. If we can get enough good data out of it, we can actually see how different political instruments work in the different countries, he says. An interesting experiment, that is, with humans as test guinea pigs, which in time can have catastrophic consequences. But the globalists don’t worry. In a previous thesis, Martikainen suggests that the Finnish state and local authorities should actively assist Muslim immigrants in establishing their own power structures in the country as an alternative to assimilation. Perhaps he was inspired by Oluf Palme’s exposition in 1965 about Sweden as a multicultural pioneer. Palme had the same thoughts when he urged minorities to keep their separate identities. When we see that integration is a utopia in relation to Islam – it doesn’t work anywhere in the world – then the result can instead become apartheid areas. Everyone avoids the burdened word apartheid but the parallel communities or the exclusion areas are real and show that apartheid communities are becoming a reality. The new globalist ideologues do not see the replacement of Finns as a group of people as any concern. On the contrary. Almost without exception, asylum immigrants from the Third World are the group of immigrants who are supposed to solve the Finnish population crisis. Academics and journalists are united in the requirement to replace their own people. This is the main reason why rage is now building in Finland. 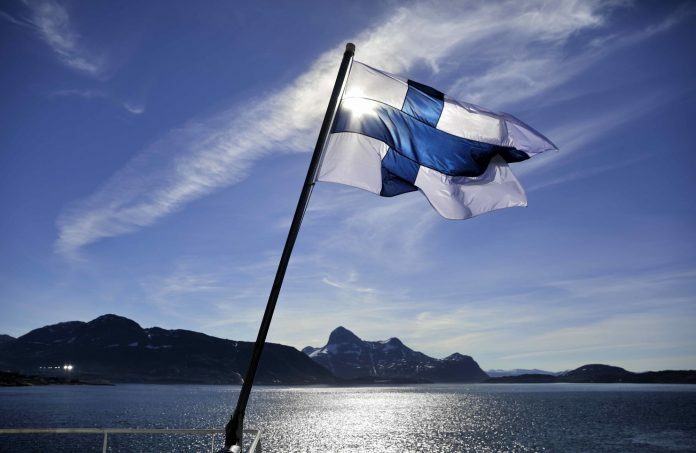 Recently, Finland was named “The World’s Best Country” by the organization “The Good Country Index”. The editorial writer of the independent newspaper “Åland’s Nyheter (news)”, Carl Kiviö, is very critical of the selection and points out that this organization only gives points according to how much money the authorities send out of the country, how many UN agreements are signed and how large a share of the population is in decline. He concludes that Finland achieved a high score because there are becoming fewer Finns at a rapid pace. and adding sarcastically: – good, then there will be plenty of room for immigrants! Previous Post Previous Post Helsingin Sanomat more interested in “Grooming gang” word usage in Finland, than in the phenomenon itself……. Next Post Next Post Judith Bergman at Gatestone: EU Going Full Orwell…….